Almassi, Ben. “Comments on Tim Kenyon’s ‘Oral History and the Epistemology of Testimony’.” Social Epistemology Review and Reply Collective 4, no. 12 (2015): 56-61. Kenyon, Tim. “Oral History and the Epistemology of Testimony.” Social Epistemology (2015): 1-22. doi: 10.1080/02691728.2014.971912. Tim Kenyon’s “Oral History and the Epistemology of Testimony” reminds us that social epistemologists do themselves a disservice when neglecting to engage with scholarship on testimony outside philosophy narrowly construed. Oral historians, for one, are well versed in the power and perils of using testimony in wissenschaft. Kenyon argues not simply that social epistemologists should recognize the expertise of oral historians (among other scholars) on testimony, but further, that the analyses and uses of testimony in oral historiography have both negative and positive lessons for epistemologists of testimony today. The negative lesson regarding APT and oral historiography can be understood in narrow or wide senses. In the narrow sense, Kenyon’s lesson is directed strictly and specifically against Coady’s appeal to oral history as positive evidence; in the wide sense, the lesson applies to testimonial fundamentalism at large. Here we face a disagreement among oral historians about their presumptive use of oral traditions, then a second-order disagreement between Coady and Kenyon about the significance of oral history practices. As Kenyon so nicely shows, we have numerous cases of oral historiographers warning practitioners not to take an attitude of default acceptance of testimony of oral traditions, but one of critical assessment. At the same time, we find indirect evidence that some practitioners were, are, or have been adopting a methodological approach that is something like this, thus earning criticism from the aforementioned oral historiographers. For example, Finnegan describes the notions “that ‘oral tradition’ is something unitary and self-evident, and that it is somehow impervious to many of the factors which historians usually take account of” as common assumptions made by unnamed insufficiently rigorous “historians and others.” She further observes, with disapprobation, “The notion that when using ‘oral tradition’ one can suspend many of the normal critical canons of historical research is, despite the caution of more experienced historians, surprisingly prevalent.” Absent specific critical citations, it is hard to tell just how common or prevalent these methodologically relevant notions were, are, or have been among practitioners. I think it is fair to say, however, that to provide evidential support for APT, the principles and practices at issue would need to be widely if not universally accepted by the field, which Kenyon’s citations of Finnegan, Henige, and other influential oral historiographers demonstrate is not the case. Here I think it is worth reminding ourselves of the rather limited dialectical work that his appeals to oral history are meant to do for Coady’s epistemology of testimony. As Kenyon rightly notes, Coady means to dispute what he calls “the disappearance of history thought” view (DOHT), voiced most memorably by Locke: “any testimony, the further off it is from the original truth, the less force and proof it has.” The mechanisms to bolster the reliability of transmissions in oral traditions drawn from Vansina are among several considerations Coady identifies to challenge DOHT when its operative assumptions that no other evidence is implicated and testimonial transmission occurs in a strict linear series are identified and scrutinized. To this end, Coady need not assume that the aforementioned mechanisms always work as intended, nor need he assume that oral historians in general treat oral traditions as truth-conducive by default. Rather, he needs to articulate possible social-epistemic configurations and cases that complicate the simplistic analysis that underlies DOHT, such that we start to appreciate how testimony can gain and lose credibility throughout its reiterative transmission processes. Kenyon allows that Coady’s response to Locke’s argument has merit, but reiterates that this should be “little comfort to friends of APT.” Coady’s response works, Kenyon says, “by appeal to the persistence of independent evidence and overlapping chains of testimonial transmission… [and] these look like the ‘evidential clutter’ cases described earlier. That is, they feature independent lines of evidence bearing some justificatory burden for beliefs arising from the testimony.” As applied to Burge and those who accept his particular version of APT, this critical observation is on target, but as a response to Coady I think it somewhat misses the mark. The idea of narrow or pure transmission with which it operates is not in fact a version of testimonial transmission at all. It is of the essence of hearing a witness and passing on what he has to say that you treat his communication as a worthwhile contribution to settling some issue. If you pass the message on as a piece of testimony, you have already judged it in a certain way, bringing powers of assessment and discrimination to bear upon it. You have, at a minimum, judged it in the way that … requires an assessment of the competence of the speaker. More substantially, you will judge how reliable the com-munication is and endorse it appropriately … At best, the objection models transmission on the deviant cases, especially the ‘take it or leave it’ type; at worst, it assimilates transmission to mere mimicry, like a series of parrots imitating each other. While it’s broadly accurate to identify Coady with testimonial fundamentalism and APT, his relationship to these theses is complicated. As he himself says, regarding fundamentalism, “[i]n some respects it is the approach closest to my own although there are, as we shall see, certain very important differences.” And something like APT is certainly presaged when Coady argues that, as with perception or memory, “we do not have to establish the many propositions which, if false, would invalidate our ready assent to what we are told, unless there is already some reason to believe that their truth is in jeopardy.” Yet his comparatively narrow view of testimony puts Coady in an unusual position among epistemologists of testimony. Coady defines the speech act of testifying (“natural testimony”) such that speaker S testifies to statement p if and only if “(1) His stating that p is evidence that p and is offered as evidence that p; (2) S has the relevant competence, authority, or credentials to state truly that p; (3) S’s statement that p is relevant to some disputed or unresolved question (which may, or may not be, p?) and is directed to those who are in need of evidence on the matter.” Furthermore, for Coady, the hearer serves an important function by exercising a multifaceted critical capacity that “incorporates our knowledge of the witness’s competence, of the circumstances surrounding his utterance, of his honesty, of the consistency of the parts of his testimony, and its relation to what others have said, or not said, on the matter.” All this is packed into the testimonial transmission, going beyond testimony as “tellings generally” and Burge’s comparatively broad version of APT in which a hearer accepts “something that is presented as true and that is intelligible to him”. I do not mean to defend Coady’s particular definition of testimony, against which one might reasonably object that it conflates the act of testimony with its justification. But given this definition, Coady will resist characterizations of testimonial transmission that cordon off one’s informed judgments of speaker competence, surrounding circumstances, and the like. It’s far from obvious that the justified testimonial acceptance at play in Coady’s appeals to oral history and overlapping chains of testimonial transmission can be excluded as irrelevant to a version of APT built around his narrow view of testimony. To be sure, this offers little comfort to most friends of APT, given their broader views of what constitutes testimony, if they were to follow Coady in his atypical appeal to oral history but not his atypical view of testimony. As it happens, however, other testimonial fundamentalists have not explicitly referenced oral historians in defense of APT. Why might we have thought oral history to be an attractive reference for those making the case of APT? “Especially in the case of oral traditions,” Kenyon explains, “the content of the testimony may (purport to) bear on remote events that have left no clear traces of supporting evidence. If such testimony were rationally acceptable by default, then there would be reason to think that its justifies uptake is inherent to testimony itself.” The problem with this is that the nature of oral traditions so understood engages the no-defeaters condition of APT. Oral traditions are not just low-information testimonial contexts: they are specifically verbally reported statements from the past beyond the present generation and identified as such, they raise distinctive epistemic red flags for conscientious oral historians. This need not always mean that such historians must reject testimony of oral traditions, but their acceptance of it will not be a matter of default acceptance, but rather a reflective critical assessment in which potential defeaters that arise for testimony presenting oral traditions are actively taken into consideration. If so, oral historians’ acceptance (or not) of oral traditions would neither clearly support nor hamper APT in terms of default entitlement. 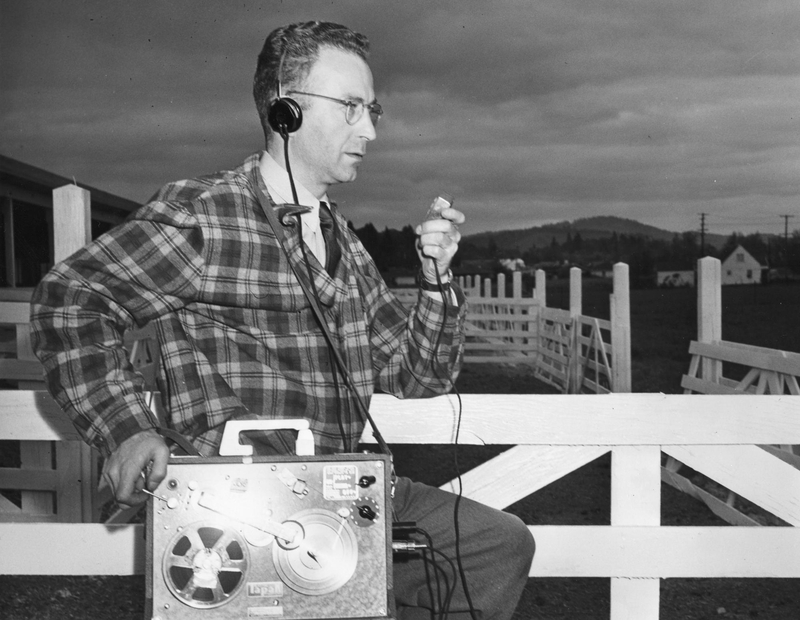 Why have so few epistemologists looked to oral history? Kenyon notes the challenge of interdisciplinary synthesis as one explanation. Another operative factor is that by restricting their interest and attention to “pure” cases of testimonial knowledge and putting aside cases of hybrid knowledge based on multiple epistemic sources, many contemporary analytic epistemologists of testimony frame their work in ways that exclude oral historians’ insights as largely irrelevant. We might consider also the distinction drawn (and repeatedly underlined) between learning from what people tell us and learning from how people tell us what they do, or to put it another way, between purely testimonial beliefs and beliefs that result from testimonial contexts. Among Kenyon’s positive lessons from oral historiography for the epistemology of testimony is that the distinction between purely testimonial (and so, seemingly, the epistemologically most significant) cases and other cases has been “too sharp and too hasty all along.” While I think this is a rather liberating lesson, it is not hard to see why research programs in the epistemology of testimony predicated on this distinction may find little of direct application in oral historiography, in which serious attention is paid to testimonies of oral traditions less as a straightforwardly reliable source about the past than as hermeneutically significant accounts of how people have interpreted the past. Yet I hasten to add that this last point simply underscores the importance of Kenyon’s positive lessons. The value of looking to practices and principles of oral historiography is not limited to internal criticism of contemporary debates in analytic epistemology of testimony as they have been specifically framed. It also invites us to appreciate what might be gained, what fruitful avenues of inquiry might be opened up, for new research programs in social epistemology framed by different assumptions about which aspects of testimonial exchanges merit studying. In this respect especially Kenyon’s article has much to offer us, as not just criticism of recent work in epistemology of testimony but an invitation and exhortation to see how much we might learn from testimonial practices as understood in context by other fields. Burge, Tyler. “Content Preservation.” The Philosophical Review 102, no. 4 (1993): 457-488. Coady, C.A.J. Testimony: A Philosophical Study. Oxford: Clarendon Press, 1992. Coady, C.A.J. “Pathologies of Testimony.” In The Epistemology of Testimony, edited by Jennifer Lackey and Ernest Sosa, 253-271. Oxford: Oxford University Press. 2006. Faulkner, Paul. Knowledge on Trust. Oxford: Oxford University Press, 2011. Finnegan, Ruth. “A Note on Oral Tradition and Historical Evidence.” History and Theory 9, no. 2 (1970): 195-201. Finnegan, Ruth. Oral Traditions and the Verbal Arts. London: Routledge, 1992. Fricker, Elizabeth. “Telling and Trusting.” Mind 104, no. 414 (1995): 393-411. Goldberg, Sanford C. Anti-Individualism. Cambridge: Cambridge University Press, 2007. Henige, David. Historical Evidence and Argument. Madison: University of Wisconsin Press, 2005. Kenyon, Tim. “The Informational Richness of Testimonial Contexts.” Philosophical Quarterly 63, no 250 (2013): 58-80. Lackey, Jennifer. Learning from Words. Oxford: Oxford University Press, 2008. Lackey, Jennifer. “Introduction.” In The Epistemology of Testimony, edited by Jennifer Lackey and Ernest Sosa, 1-22. Oxford: Oxford University Press. 2006. Laplace, Pierre Simon. A Philosophical Essay on Probabilities, translated by Frederick Wilson Truscott and Frederick Lincoln Emory. New York: Dover Publications, 1951. Locke, John. An Essay Concerning Human Understanding. Online digital version ILT Digital Classics,1995 . Vansina, Jan. Oral Tradition: A Study in Historical Methodology. Chicago: Aldine, 1965. Vansina, Jan. 1985. Oral Tradition as History. Madison: University of Wisconsin Press, 1985. Cf. Vansina 1965; Finnegan 1970; Vansina 1985; Finnegan1992; Henige 2005. Kenyon 2015, 9; cf. Vansina 1985, 111. Locke (1689); variations on DOHT can also be found in Laplace (1951) and Henige (2005). As aptly characterized by Lackey (2008, 14). Cf. Fricker (1995, 396) and Audi (1997, 406). Cf. Fricker (1995, 397) and Lackey (2008, 16-19) for critical discussions of Coady’s particular definition of testimony. Kenyon 2015, 5; cf. Keyon 2013 for cogent critical discussion of testimonial justification and low-information contexts. For Burge (1993, 467) that there are not strong reasons not to accept the testimony, or for Goldberg (2007, 144) that there are no undefeated good reasons not to accept the testimony. Cf. Audi (1997, 420), Lackey (2006, 3), and Faulkner (2011, 18) for assertions of this distinction. Kenyon 2015, 18. For his part, Coady (1992, 147) acknowledges that there is a “degree of interpenetration” among all four fundamental epistemic sources (inference, memory, perception, and testimony). I’m grateful for this very helpful, fair, and illuminating commentary. I hope to share some further thoughts soon.